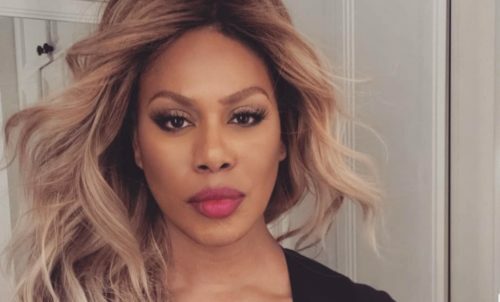 In a recent Instagram post, transgender actress and LGBTQ rights activist Laverne Cox shared her personal experience of bullying and discrimination, reminding young queer people of their inherent self-worth and beauty. It’s really quite powerful. Since then, she has spoken out for queer youth and LGBTQ rights. In 2014, she hosted an MTV and Logo documentary special about trans youth; in 2017, she urged Grammy viewers to learn more about the bathroom lawsuit of trans student Gavin Grimm; and that same year, she made a video about the history of trans rights with the ACLU. I want LGBTQI+ youth who may be experiencing violence or bullying to know you are valuable, beautiful and special. When I was bullied and beaten up as a kid within the mostly black community I grew up in (and later by people from other races), it made me feel less-than. I internalized so much shame about what was happening to me. I believed it was my fault — I believed I was inherently a bad person because I was too feminine. I want you to know your gayness or your transness, your gender nonconformity, you intersex status are all beautiful. I want you to know the if you are LGBTQI+ and a person of color, [or] have a disability, you are beautiful. If you don’t feel the love in your immediate surroundings, it’s out there for you. I believe that by being a beacon of love, you can eventually draw that love to you. Don’t give up hope. If folks are making fun of you, making jokes about you, those jokes are about them, not you. When I was a kid, the jokes other kids and adults made about gay folks reinforced what I was hearing in church, on the television and the culture at large that gay was wrong. Since I was assigned male at birth and was attracted to other boys and called evert anti-gay slurt you can imagine, I thought I was going to hell, that my grandmother up in heaven was disappointed in me. My bullies conflated gay with my gender expression. I now know they are different tings. All of these things made me want to take my life, and I tried. I believe I survived to testify so that you can know you are beautiful and worthy. Hopefully more adults will come to see your beauty and value as well. Hopefully more adults will come to believe that you do not deserve violence, name calling, public policy and jokes that compromise your safety. Hopefully more adults will come to believe you shouldn’t lose your life simply for being who you are and do something about it. Cox’s message is particularly needed for trans youth at this time. The number of trans teens calling The Trevor Project’s suicide prevention hotline increased following U.S. President Donald Trump’s attacks on the trans community. A 2018 study showed that half of all trans men attempt suicide at some point. Trans and non-binary teens are among those most at risk for attempting suicide among LGBTQ youth. Cox has remained a trailblazer for trans representation. In 2014, she became the first openly trans person nominated for an Emmy; in 2016, she appeared in a Hillary Clinton campaign ad; and in 2018, she became the first trans woman ever to grace the cover of Cosmopolitan magazine.